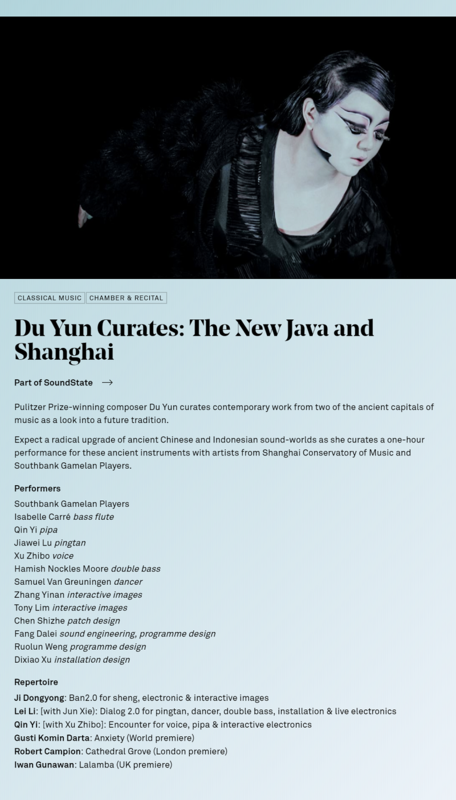 A performance of premières, as part of Du Yun Curates: The New Java and Shanghai at the Purcell Room, Southbank Centre, Sunday 20 January 2019. The 2nd Kassel International Gamelan Festival takes place from 22 -25 November 2018. Southbank Gamelan Players perform a programme of traditional and new music from Java on Saturday 24th in the Kulturbahnhof Südflügel. The group has recently been working with Indonesian composer Iwan Gunawan and is delighted to be performing his piece Lalamba. The International Gamelan Festival takes place in Solo Indonesia from 9-16 August 2018. SbGP will be joining groups from Indonesia and around the world for the Homecoming Festival in Java. SbGP perform with dhalang Ki Sujarwo Joko Prehatin in the International Gamelan Music Festival Munich on 16 June 2018. 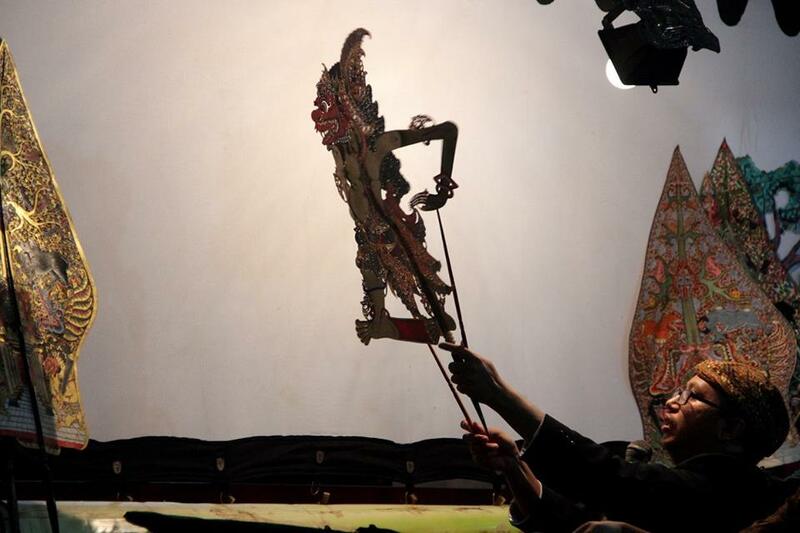 The main performance is a five-hour wayang kulit telling the story of Jarasandha. It is preceded by a short afternoon shadow puppet show for children with the story of Dewa Ruci. Southbank Gamelan Players will be performing with Plaid once again as part of the CAFe Budapest (Contemporary Arts Festival). Tickets are available here: CAFe Budapest site. Building upon our recent performance at Muziekgebouw aan ‘t Ij in Amsterdam, we will present an evening of “Gamelantronics”. The programme features Rubber Time, developed in collaboration with Plaid and Dr Rahayu Supanggah, alongside a range of compositions by members of the group: Eternity Bleeps, Charlotte Pugh and Charles Matthews, Augmented Gamelan, and Malcolm Milner. Members of Southbank Gamelan Players will be playing as a gadhon (chamber) ensemble on Monday 9 May for a lunchtime recital at St Thomas’ Hospital. This is part of a free series of lunchtime performances organised by Breathe Arts Health Research – a brilliant charity and scheme to bring music to hospitals to benefit patients, staff and visitors. The performance will take place in the Central Hall at 1pm. Southbank Gamelan players continue their collaboration with Plaid at Muziekgebouw Amsterdam on the 22nd May, featuring development of the piece Rubber Time written with Dr Rahayu Supanggah in 2011. Plaid featuring the South Bank Gamelan from Ben Dowden on Vimeo. The programme also features new works for gamelan and electronics by members of the Southbank Gamelan Players, including Eternity Bleeps, Augmented Gamelan, Malcolm Milner, and a new collaboration by Charlotte Pugh and Charles Matthews. 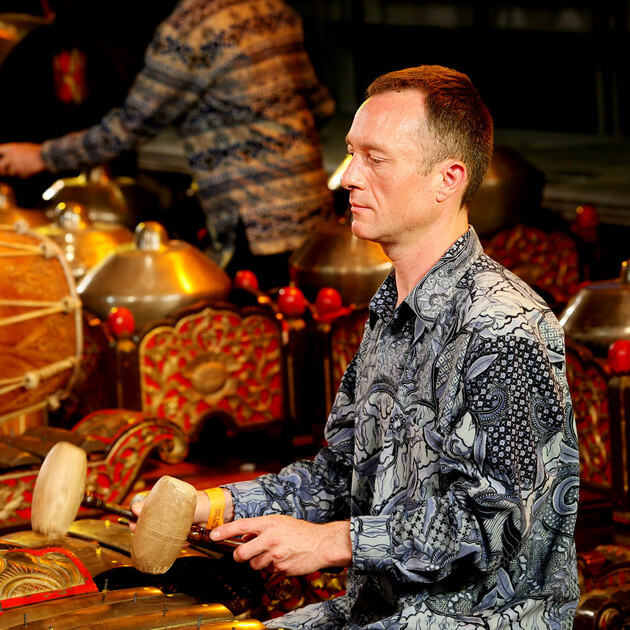 Southbank Gamelan Players perform intricate Javanese classical repertoire, court dance, popular Indonesian songs and experimental music by UK composers. 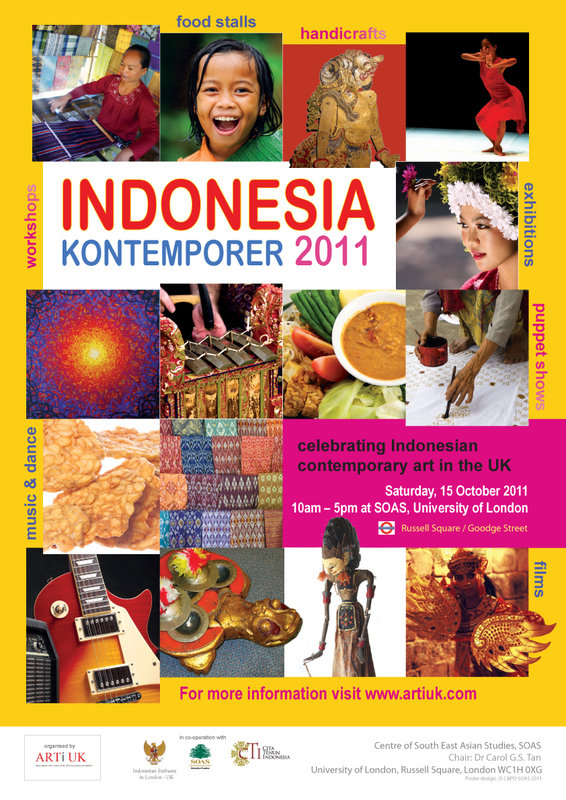 Southbank Gamelan Players perform a programme of Javanese gamelan music to open the Indonesia Kontemporer 2011 day of events at SOAS, University of London (Room G2).